A newly published report from a group of Italian researchers provides us with some further data on the accuracy of [11C]choline PET/CT scanning in the detection of recurrent prostate cancer — in this case in men who recur after first-line external beam radiation therapy (EBRT). Ceci et al. carried out [11C]choline PET/CT scans on 140 men with apparently recurrent prostate cancer and a PSA level > 2 ng/ml after first-line EBRT to the prostate gland and the prostate fossa (the so-called prostate “bed”). Average (mean) PSA was 8.6 ng/ml (range, 2 to 60 ng/ml). Low-risk patients had received EBRT doses between 70 and 76 Gy. High-risk patients had received EBRT doses of between 76 and 81 Gy. 123/140 patients (87.8 percent) had the site(s) of the disease recurrence accurately detected by [11C]choline PET/CT scan. 46/123 patients exhibited local relapse only. 31/123 patients exhibited local and distant relapse. 46/123 patients exhibited distant relapse only. The mean PSA level of patients exhibiting relapse on [11C]choline PET/CT scan was 9.08 ng/ml (range, 2 to 60 ng/ml). Their mean PSA doubling time was 5.6 months (range, 0.4 to 48 months). Their mean PSA velocity was 15 ng/ml/year (range, 0.4 – 87 ng/ml/year). 31/77 (40.2 percent) of the men exhibiting distant relapse (with and/or without local relapse) exhibited oligometastatic disease (i.e., at least one or two distant lesions). PSA kinetics was the only variable affecting the rate of detection of disease recurrence by [11C]choline PET/CT scan. There was a statistically significant correlation between PSA kinetics and site of recurrence (local relapse only vs. distant metastasis). The authors conclude that, given the high rate of detection sites of disease recurrence, [11C]choline PET/CT scan “could have clinical usefulness” in the management patients with apparent prostate cancer recurrence and a PSA level > 2 ng/ml after first-line EBRT (and that further studies are therefore justified). This seems like a relatively conservative interpretation of these data. 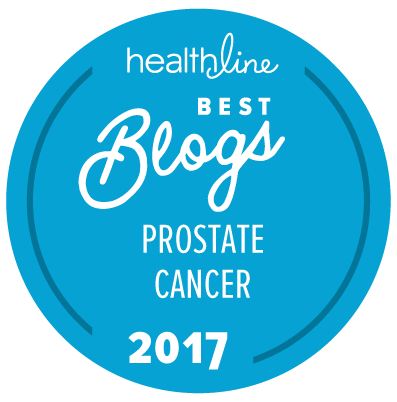 Of course the number of centers that have access to [11C]choline PET/CT scanning capabilities is still very small, so it’s unlikely that the majority of patients with apparent recurrence of their prostate cancer would be able to take advantage of this type of scanning at the present time. It think would be important to know how many of the “validations” were by biopsy as opposed to another follow-up scan (including another [11C]choline scan!). It doesn’t seem right to rely upon a validation of a scan result by using the results of another scan. Wouldn’t the only validation in fact be by pathological examination? Thanks for reporting this study. I have heard a talk on this technology by Dr. Eugene Kwon of the Mayo Clinic in Rochester, MN, and I’ve heard a description of a similar competing technology, using carbon-11 acetate, by Dr. Fabio Almeida of Phoenix, Arizona. My own choice in 2012 to determine whether my case involved spread to the lymph nodes was the competing Feraheme (ferumoxytol) USPIO (Ultrasmall Superparamagnetic Iron Oxide) contrast agent with 3 Tesla MRI fused with CT. This scan, which appears to be highly sensitive and specific — picking up mets as small as 3 to 4 mm, was negative for me, completing the assessment for spread that complemented the Na18F PET/CT bone scan. My scan was related to a study led by Dr. Stephen Bravo of Sand Lake Imaging in Florida (outside Orlando, close to Sea World). Data from that study were presented in a poster at the 2013 ASTRO convention last October. I have heard that an actual paper will probably be published this year. The NCI has an ongoing clinical trial using Feraheme for imaging prostate cancer. There are advantages and disadvantages to each of these technologies, though all three seem to constitute substantial advances in technology, perhaps amounting to breakthroughs. The Feraheme USPIO MRI technology has a particular advantage in being potentially widely available as the contrast agent does not require the highly specialized manufacturing and delivery technology that are necessary for isotopes with an extremely short half life, and many imaging facilities with 3 Tesla MRIs should be able to adopt it rapidly. However, radiological skill in reading the images is a possible issue. Clearly the “best” way to validate the results of the PET/CT scan would be by pathological examination of a biopsy of the site shown to be positive by the scan. Since I haven’t been able to see the full text of the paper, I have no idea exactly how each positive PET/CT scan result was validated. Hi Richard (and others). I’m posting this, though you can easily view it for yourself, to emphasize that the results in the Feraheme study were confirmed by surgical pathology (image-guided biopsy for 38 patients; mediastinoscopy for 1 patient; and pelvic lymph node exenteration for 1 patient). The poster linked above contains the results, but here’s a quick summary. Of these 40 patients whose images received close study, 74 abnormal nodes were found. Of these 74 abnormal nodes, 67 lymph nodes demonstrated metastatic prostate carcinoma; 2 lymph nodes demonstrated lymphoma; and 5 lymph nodes were normal.